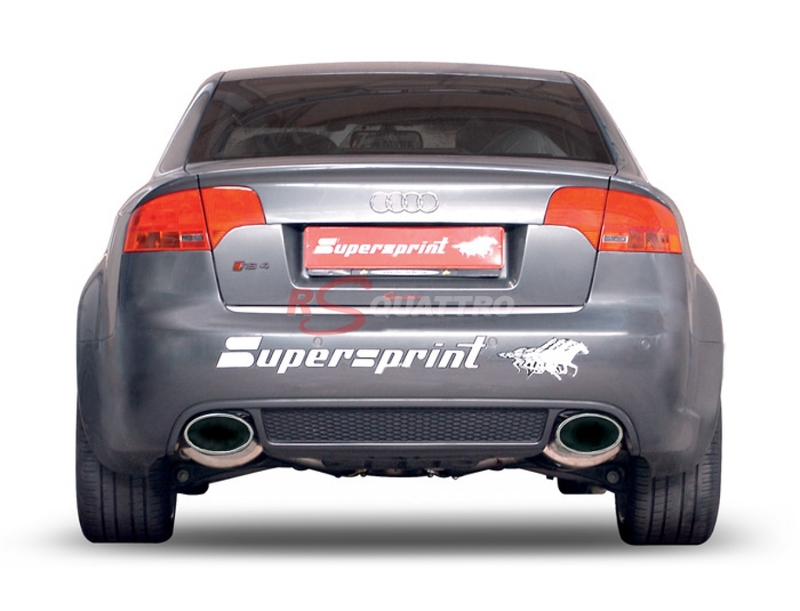 Please, update your INTERNET EXPLORER !!! 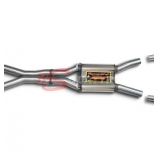 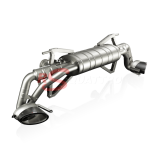 Many exhaust manufacturers exist on the market. 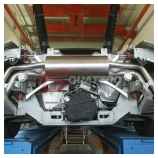 At RS QUATTRO, we believe our customers deserve to have a choice between only high quality products. 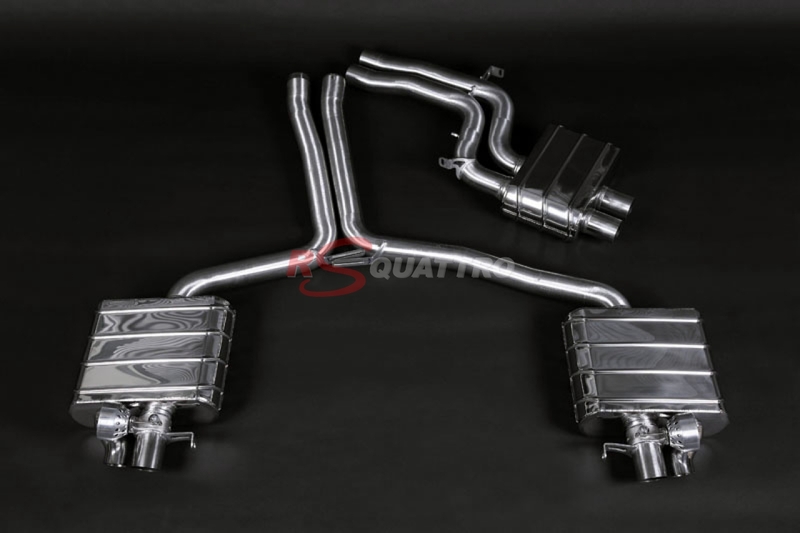 Fitting an aftermarket exhaust system on your car can deliver an improvement in performance (torque and power), but should also provide an improved driving experience with a superior sound, and when possible also enhance the looks of the rear of your car. 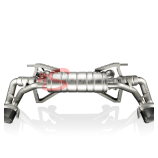 These exhausts provide typically a sound which is absolutely perfect revealing the true nature of high performance engines such are the ones found on RS4, RS5, RS6, R8. 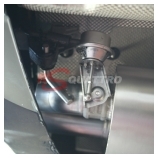 A lot of versions exist with exhaust valves even when not an option on the original car (like RS6 V10 cars). 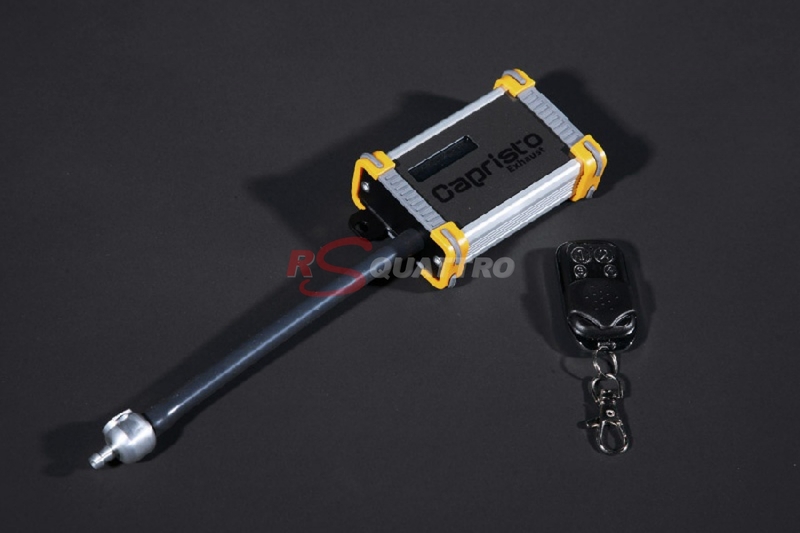 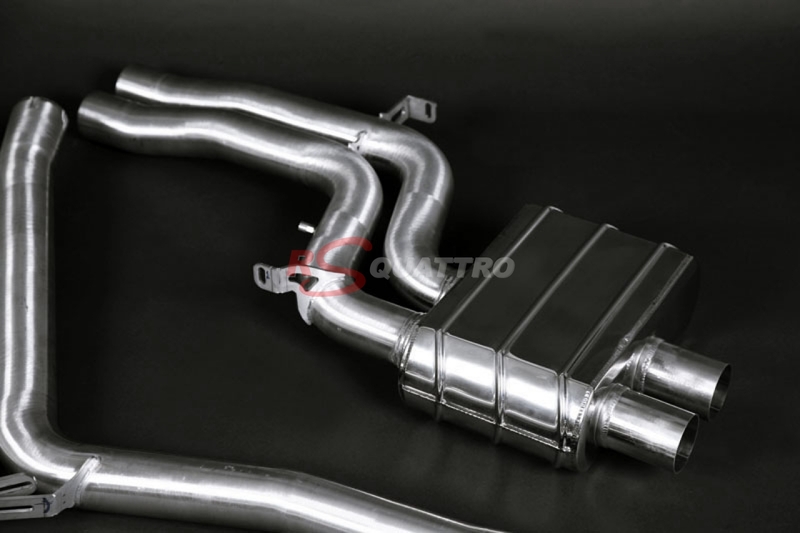 This feature is truly interesting as it allows the end user to decide when to drive with low sound levels and when to free up all the sound the exhaust can deliver. 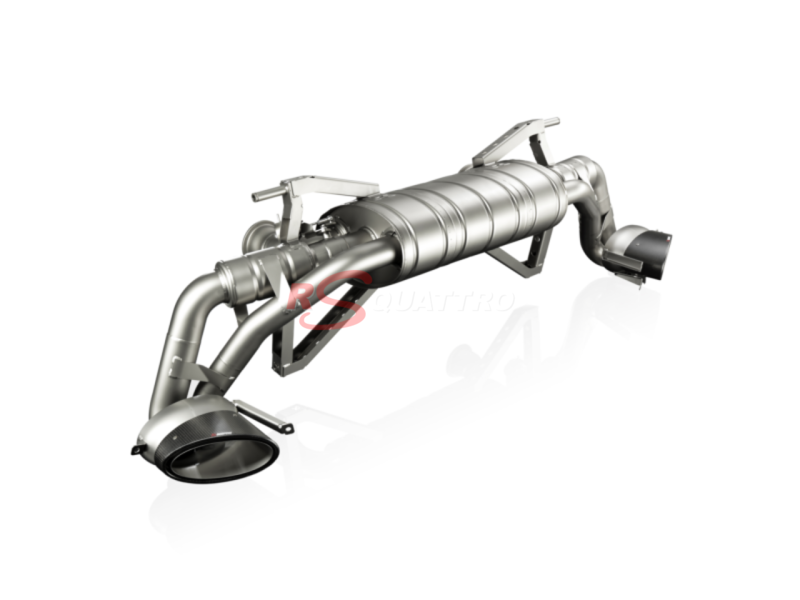 TUV certification is typically possible with these exhausts. 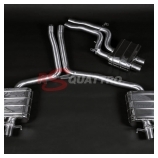 This exhaust manufacturer is typically able to provide an optimal compromise between quality and price level. 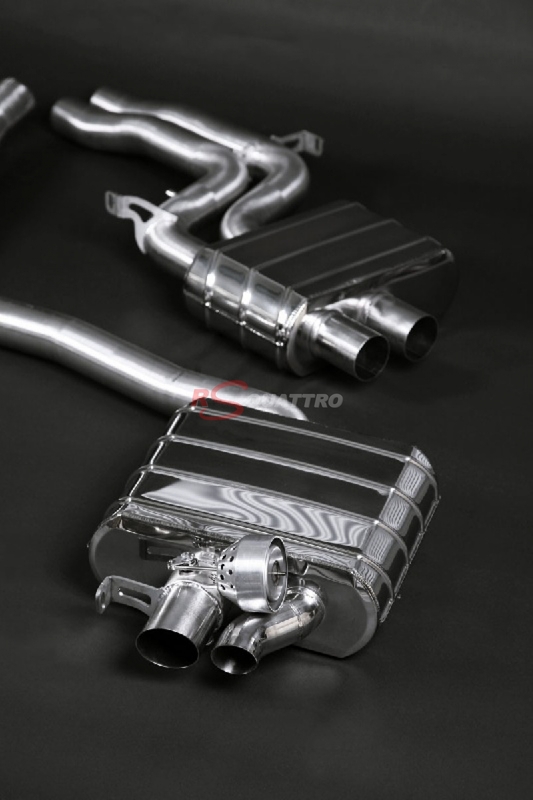 This exhaust manufacturer has a strong reputation as one of the very few capable of manufacturing exhaust using Titanium technology for the majority of the applications (vs. stainless steel). 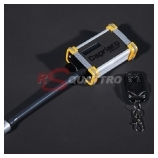 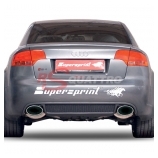 They deliver state of the art products which hence come at high premium prices. 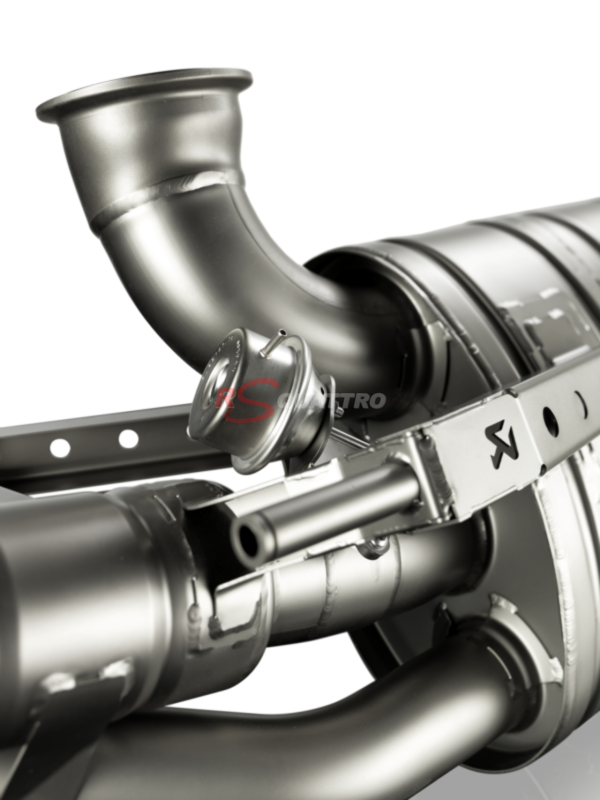 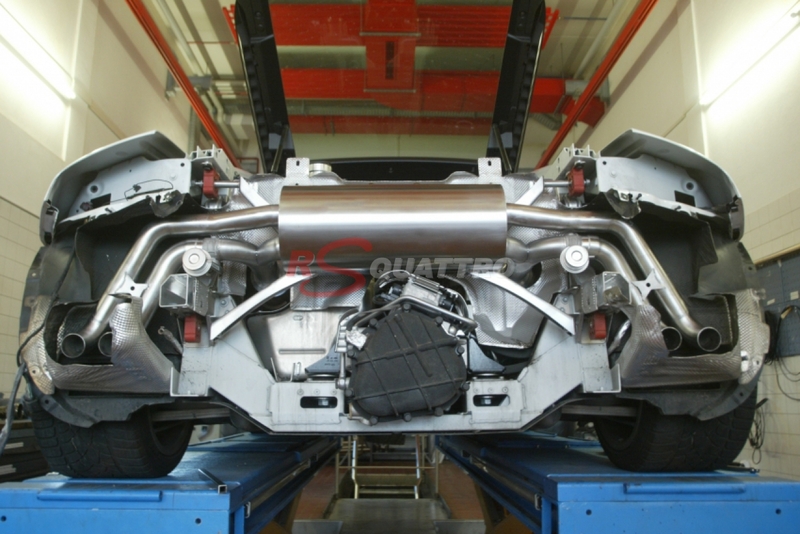 As a reference, Akrapovic is an official supplier of Porsche (997 GT2 use Akrapovic titanium exhaust standard). 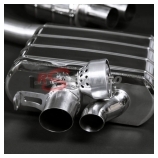 These exhausts are supplied typically with CEE homologation certificate (there are exceptions for certain applications). 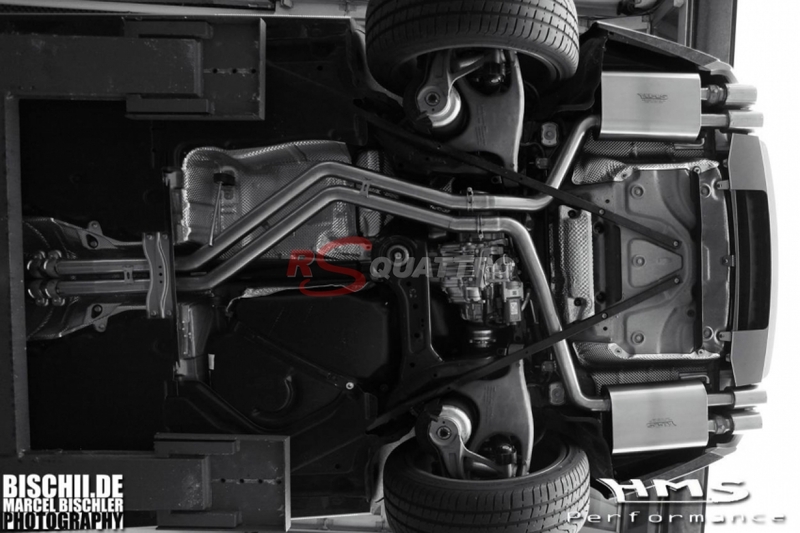 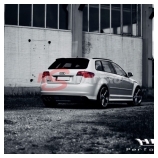 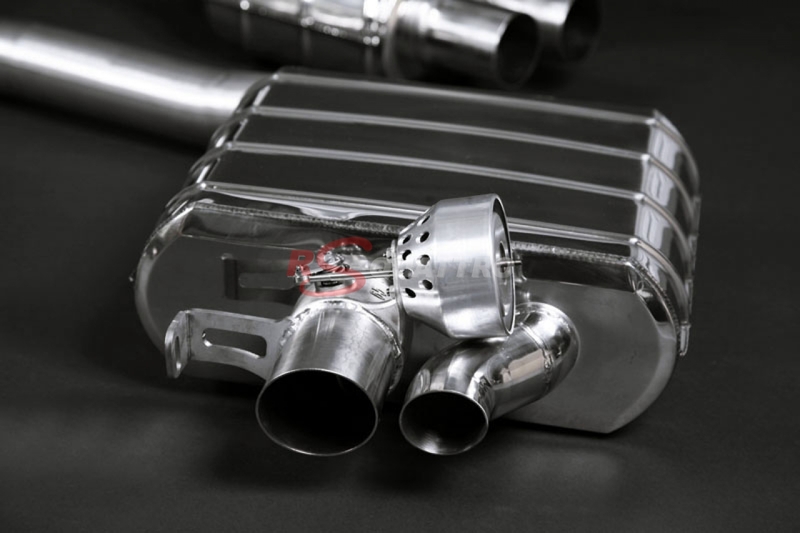 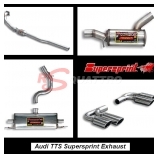 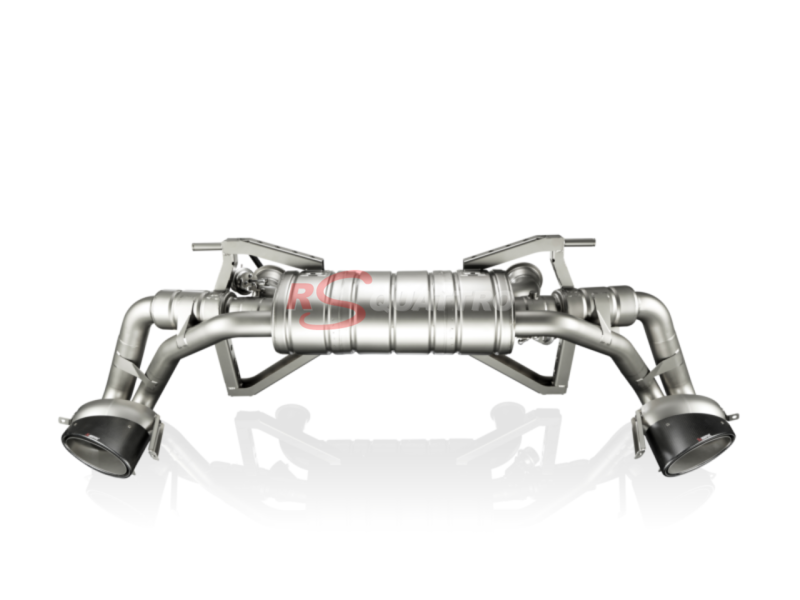 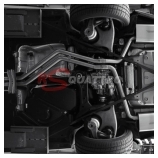 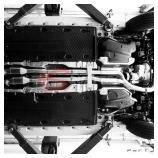 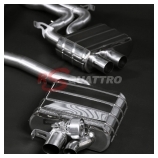 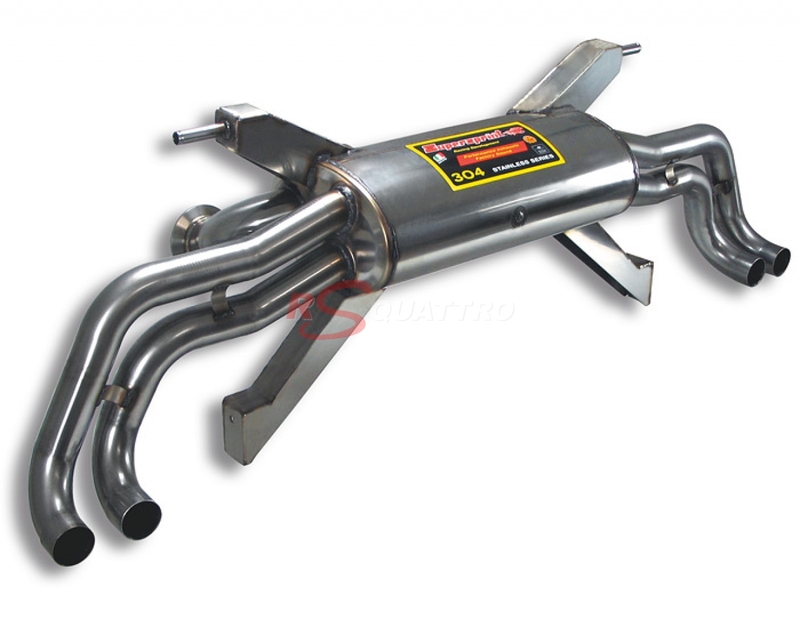 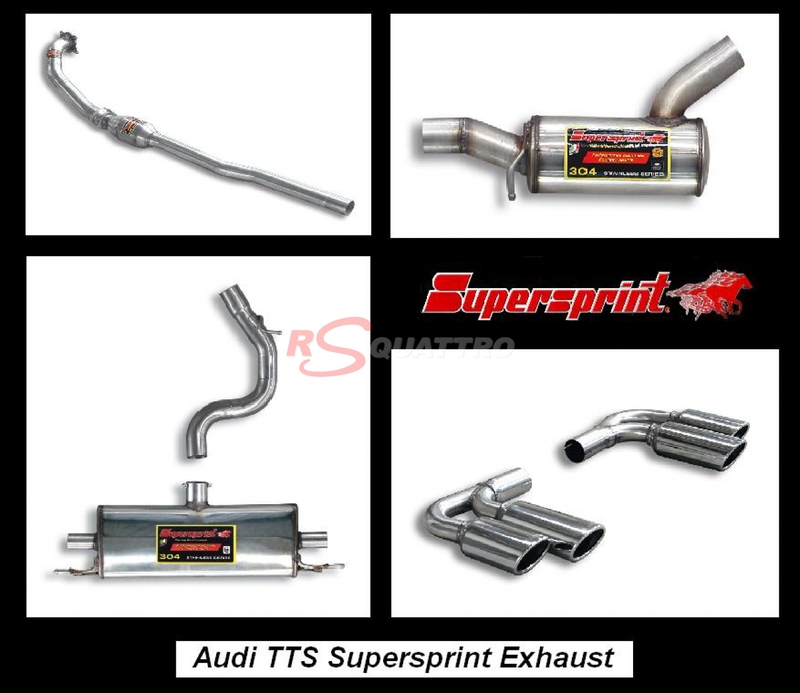 This exhaust manufacturer has initially specialized in Ferrari aftermarket exhaust, but has since increased its line of products to other high end premium car brands such as Lamborghini, Porsche, and Audi. 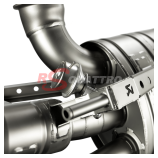 Valve technology can typically be proposed. 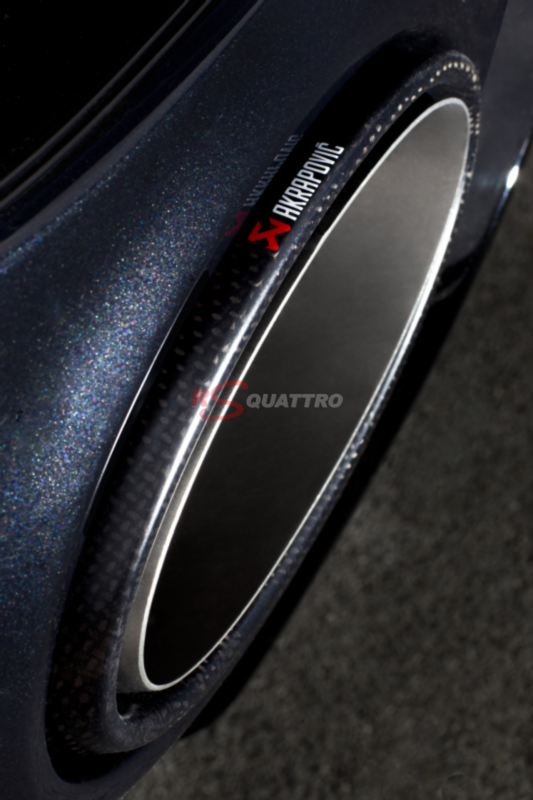 They come with superior finish quality. 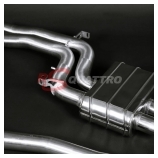 They all supply cat back systems and in some case downpipes & sports cats. 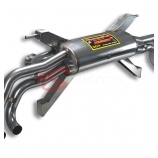 For the majority of the applications, and in order to satisfy all customers, different sound versions are available (like for Milltek with “resonated” or “non-resonated” versions). 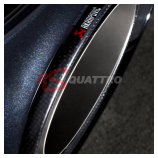 The tips are often OEM-look (oval for AUDI RS cars for example). 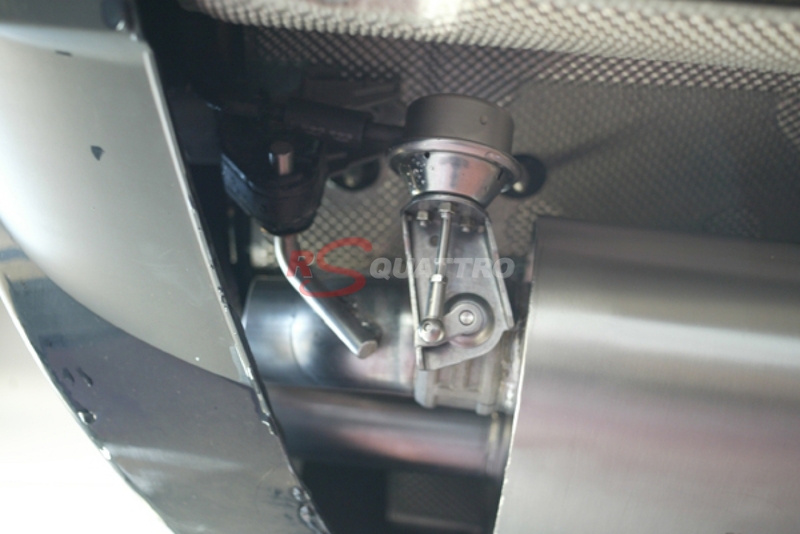 For specific applications, there are other tips available (like quad for example). 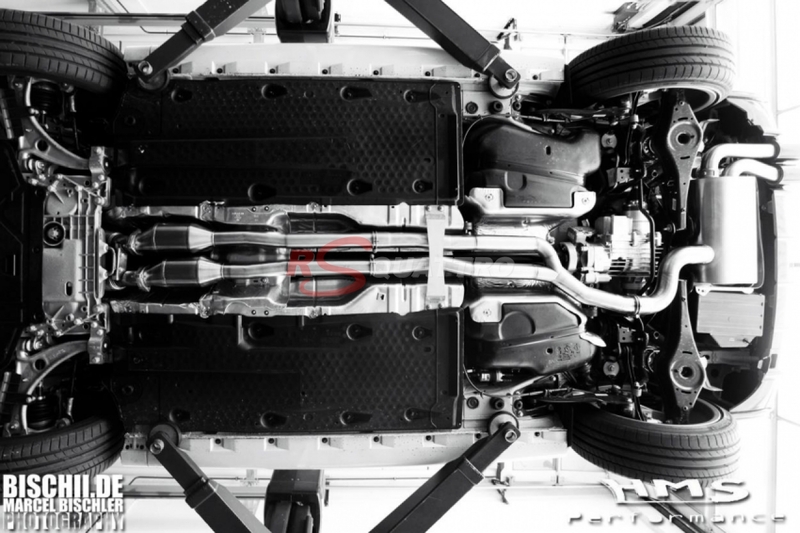 Have a look at our FAQ if you have further questions or contact us for more info!